So begins one of Jonathan Gold’s famous pieces for LA Weekly, published back in 1998. “The Year I Ate Pico Boulevard” described his efforts to sample the food available along the street that cuts across so much of Los Angeles, and how he learned about the city and its cooking along the way. Now, in a tribute to the critic who passed away last month, a wall on Pico Boulevard is getting a mural depicting the intrepid eater. The wall in question belongs to the offices of Brad Metzger Restaurant Solutions, a recruiting agency that helps restaurants find employees. To officially unveil the Hattas Murals-designed artwork, they’ll be hosting a celebration on August 13, featuring tacos from Trejo’s Tacos (free for the first 200 people to stop by) and encouraging donations to the Go Fund Me campaign set up for Gold’s family. 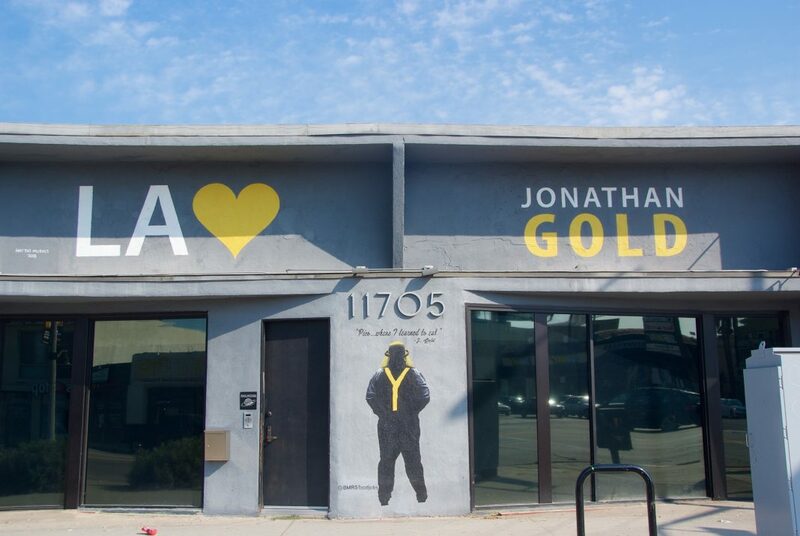 Together with Tacos on Pico: Celebrating the Life of Jonathan Gold takes place on August 13, 4 to 6 p.m., at 11705 W. Pico Blvd., Sawtelle.